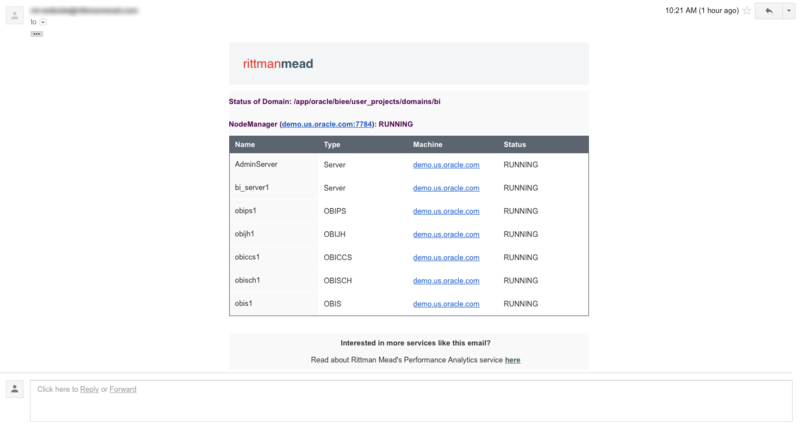 Rittman Mead’s Unify is the easiest and most efficient method to pull your OBIEE reporting data directly into your local Tableau environment. 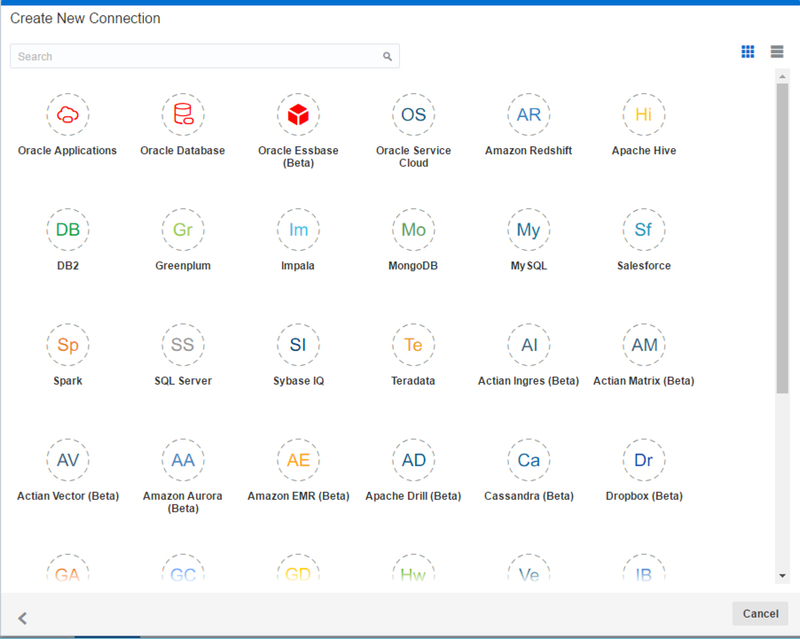 No longer will you have to worry about database connection credentials, Excel exports, or any other roundabout way to get your data where you need it to be. 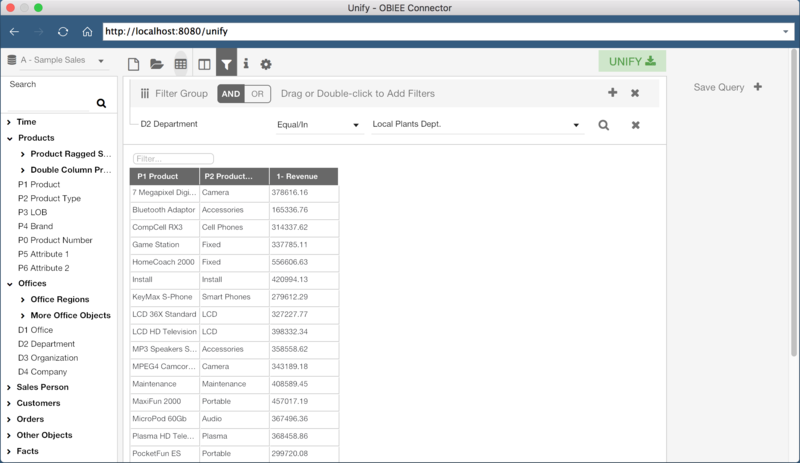 Unify leverages OBIEE’s existing metadata layer to provide quick access to your curated data through a standard Tableau Web Data Connector. 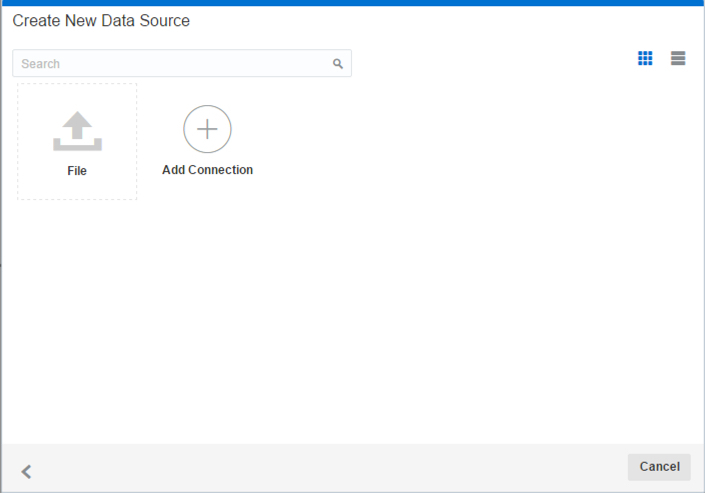 After a short installation and configuration process, you can be building Tableau workbooks from your OBIEE data in minutes. 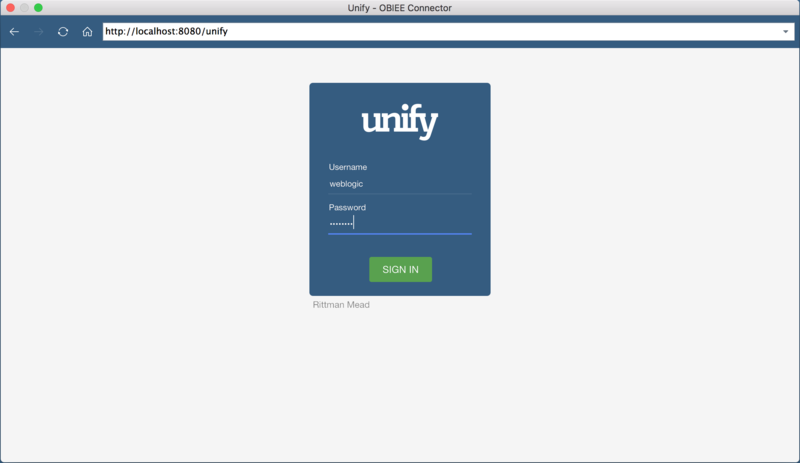 This blog post will demonstrate how intuitive and easy it is to use the Unify application. We will only cover using Unify and it’s features, as once the data gets into Tableau it can be used the same as any other Tableau Data Source. 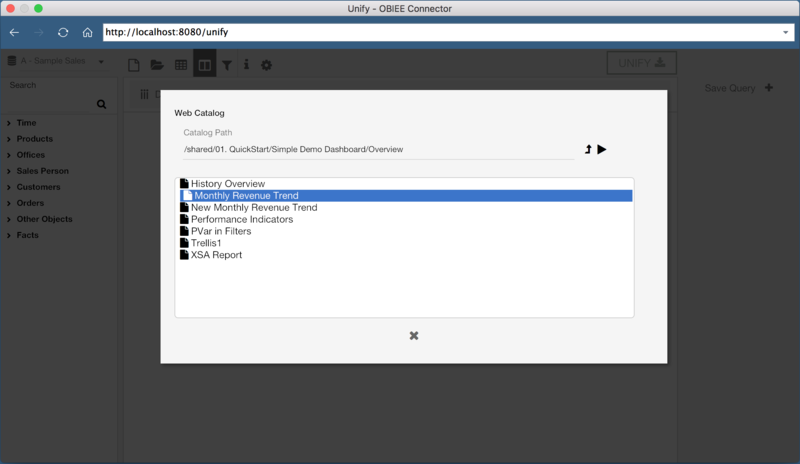 The environment shown already has Unify installed and configured, so we can jump right in and start using the tool immediately. 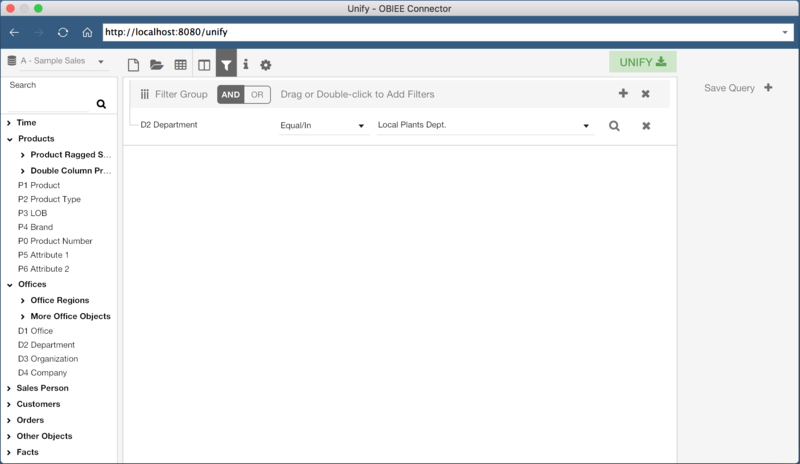 To start pulling data from OBIEE using Unify, we need to create a new Web Data Connector Data Source in Tableau. This data source will prompt us for a URL to access Unify. In this instance, Unify is installed as a desktop application, so the URL is http://localhost:8080/unify. Once we put in the URL, we’re shown an authentication screen. 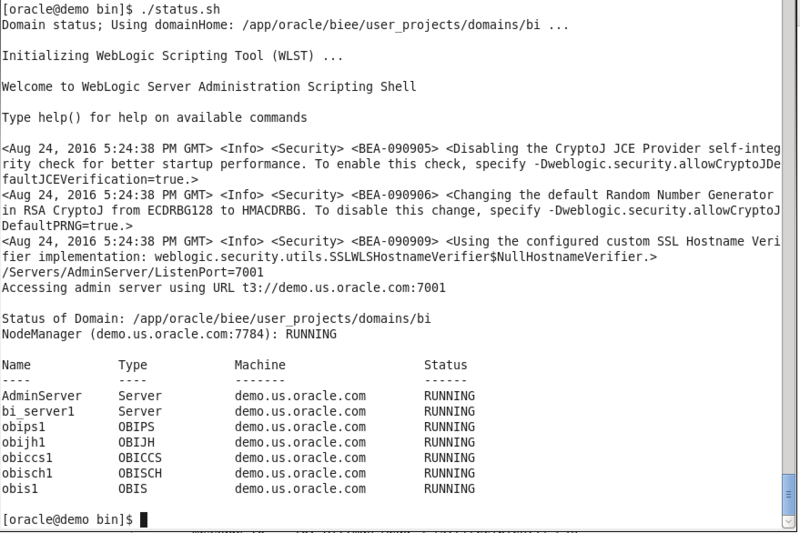 This screen will allow us to authenticate against OBIEE using the same credentials. In this case, I will authenticate as the weblogic user. 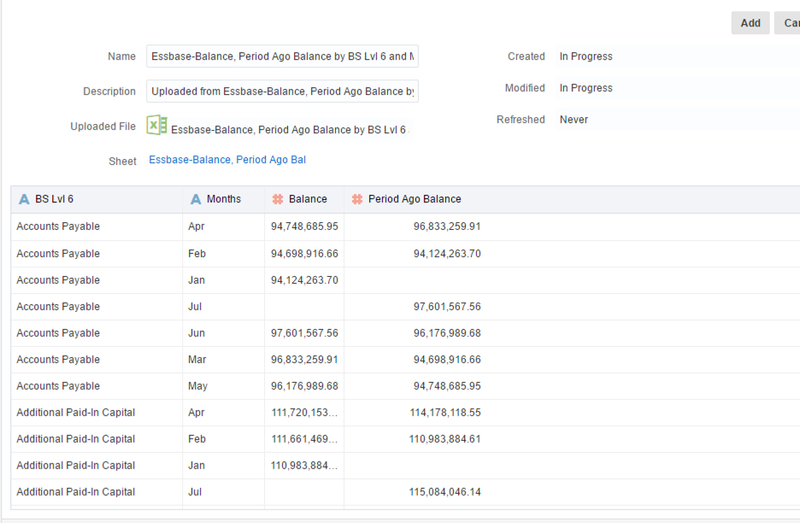 Once authenticated, we are welcomed by a window where we can construct an OBIEE query visually. On the left hand side of the application, I can select the Subject Area I wish to query, and users are shown a list of tables and columns in the selected Subject Area. There are additional options along the top of the window, and I can see all saved queries on the right hand side of the window. The center of the window is where we can see the current query, as well as a preview of the query results. Since I have not started building a query yet, this area is blank. 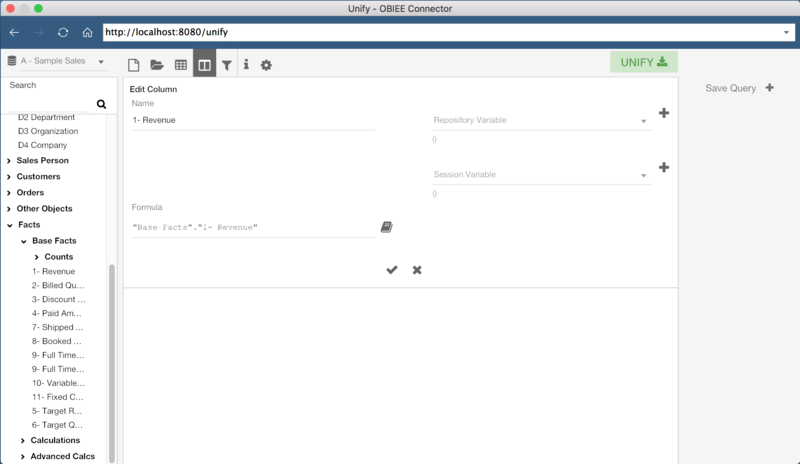 Unify allows us to either build a new query from scratch, or select an existing OBIEE report. First, let’s build our own query. 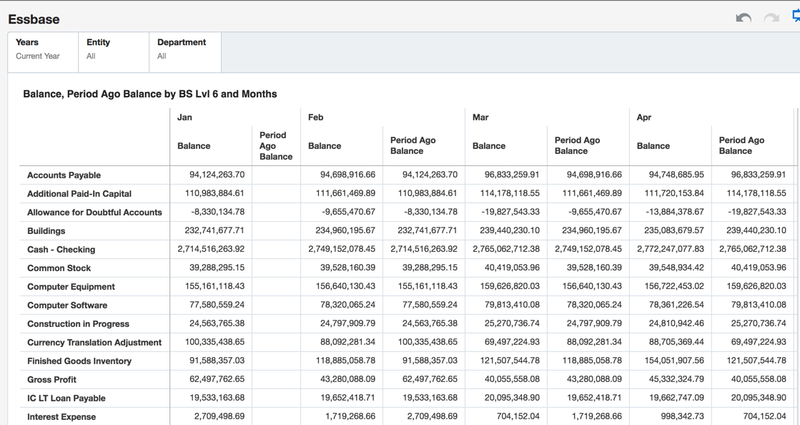 The lefthand side of the screen displays the Subject Areas and Columns which I have access to in OBIEE. With a Subject Area selected, I can drag columns, or double click them, to add them to the current query. In the screenshot above, I have added three columns to my current query, “P1 Product”, “P2 Product Type”, and “1 - Revenue”. 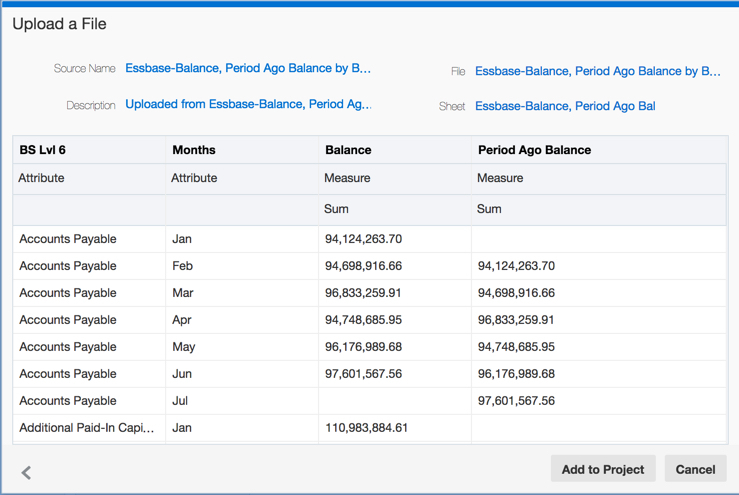 If we wanted to, we could also create new columns by defining a Column Name and Column Formula. We even have the ability to modify existing column formulas for our query. We can do this by clicking the gear icon for a specific column, or by double-clicking the grey bar at the top of the query window. It’s also possible to add filters to our data set. By clicking the Filter icon at the top of the window, we can view the current filters for the query. We can then add filters the same way we would add columns, by double clicking or dragging the specific column. In the example shown, I have a query on the column “D2 Department” where the column value equals “Local Plants Dept.”. Filters can be configured using any of the familiar methods, such as checking if a value exists in a list of values, numerical comparisons, or even using repository or session variables. Now that we have our columns selected and our filters defined, we can execute this query and see a preview of the result set. By clicking the “Table” icon in the top header of the window, we can preview the result. Once we are comfortable with the results of the query, we can export the results to Tableau. It is important to understand that the preview data is trimmed down to 500 rows by default, so don’t worry if you think something is missing! This value, and the export row limit, can be configured, but for now we can export the results using the green “Unify” button at the top right hand corner of the window. When this button is clicked, the Unify window will close and the query will execute. 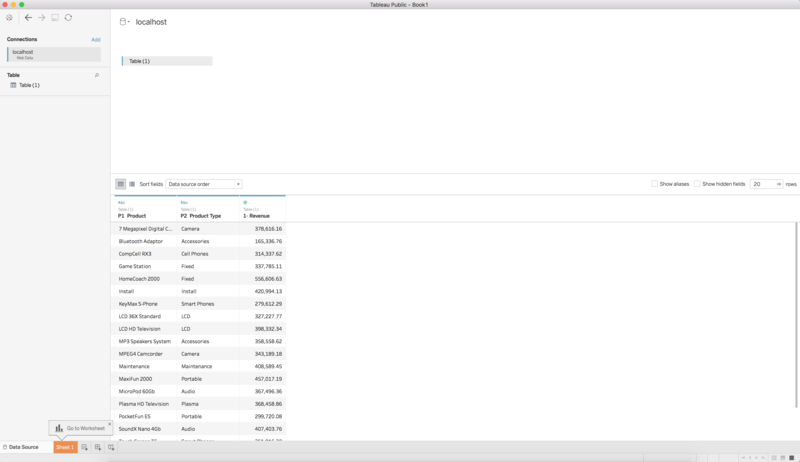 You will then be taken to a new Tableau Workbook with the results of the query as a Data Source. We can now use this query as a data source in Tableau, just as we would with any other data source. But what if we have existing reports we want to use? Do we have to rebuild the report from scratch in the web data connector? Of course not! 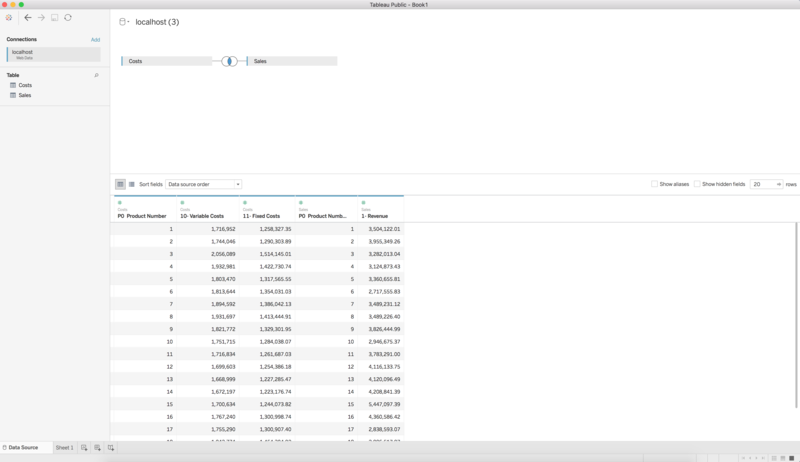 With Unify, you can select existing reports and pull them directly into Tableau. Instead of adding columns from the lefthand pane, we can instead select the “Open” icon, which will let us select an existing report. We can then export this report to Tableau, just as before. Now let’s try to do something a little more complicated. OBIEE doesn’t have the capability to execute queries across Subject Areas without common tables in the business model, however Tableau can perform joins between two data sources (so long as we select the correct join conditions). 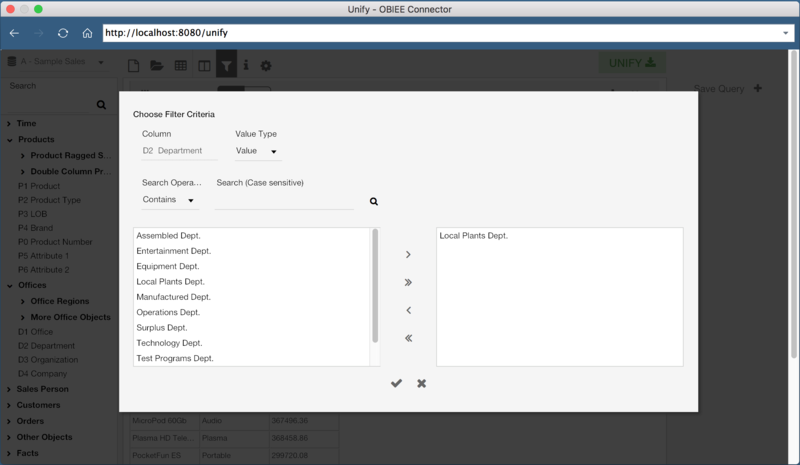 We can use Unify to pull two queries from OBIEE from different Subject Areas, and perform a data mashup with the two Subject Areas in Tableau. Here I’ve created a query with “Product Number” and “Revenue”, both from the Subject Area “A - Sample Sales”. I’ve saved this query as “Sales”. I can then click the “New” icon in the header to create a new query. This second query is using the “C - Sample Costs” Subject Area, and is saved as “Costs”. This query contains the columns “Product Number”, “Variable Costs”, and “Fixed Costs”. We now have two data sets, each from a different OBIEE subject area, joined and available for visualization in Tableau. Wow, that was easy! What about refreshing the data? Good question! The exported data sources are published as data extracts, so all you need to do to refresh the data is select the data source and hit the refresh button. If you are not authenticated with OBIEE, or your session has expired, you will simply be prompted to re-authenticate. 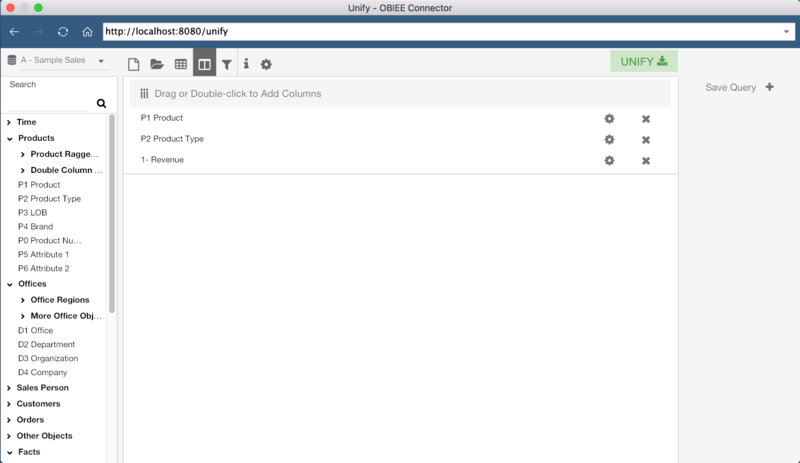 Using Tableau to consume OBIEE data has never been easier. 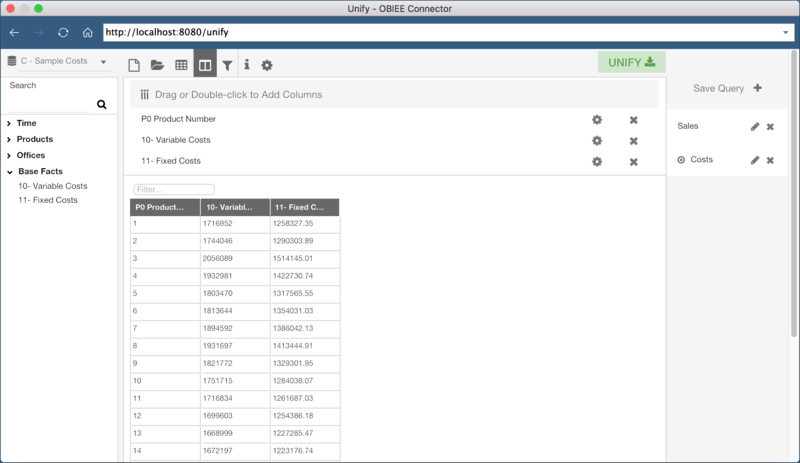 Rittman Mead’s Unify allows users to connect to OBIEE as a data source within a Tableau environment in an intuitive and efficient method. If only everything was this easy! 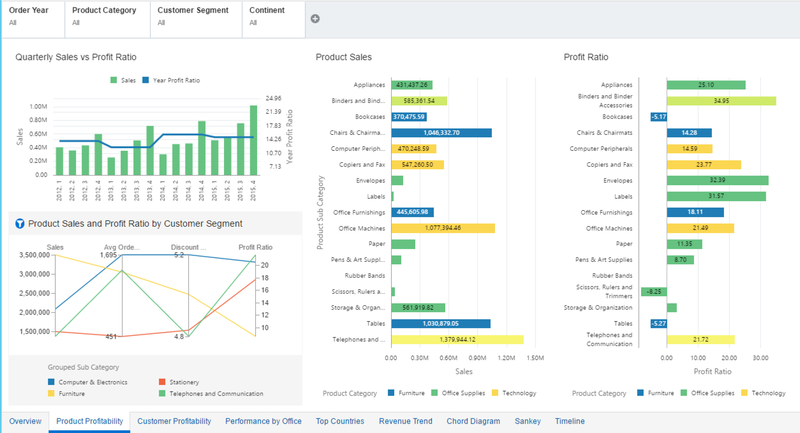 Interested in getting OBIEE data into Tableau? Contact us to see how we can help, or head over to https://unify.ritt.md to get a free Unify trial version. So it’s the end of the month, or maybe even the end of the quarter. And you’ve found yourself faced, yet again, with the task of pulling whatever data will be needed to produce the usual standardized budgetary and / or finance reports. You’re dreading this as it will probably eat up most of your day just getting the data you need, combing through it to find the metrics you need, and plugging them into your monumentally complicated custom spreadsheet, only to find the numbers are, well, off. Enter Data Visualization (DV), and its lightweight brother application, Data Visualization Desktop (DVD). My bud at RM, Matt Walding, already did a pretty great post on some of the cursory features of DVD, covering a lot of the important how-tos and what’s whats. So check that out if you need a bit of a walkthrough. Both of these great tools tout that you can go from zero to analysis pretty darn quick, and from the extensive testing and prodding we’ve done with both DV and DVD, this claim is accurate. Now how does this help us, however, in the previous scenario? Well, IT processes being what they are in a lot of mid to large size companies, getting the data we need, to do the crunching we need to do, can be quite the monumental task, let alone the correct data. So when we get it, we are going to want a solution that can take us from zero to report, pretty darn quick. Emailed a spreadsheet with a ton of rows. Download the csv/xlsx and then crunch the rows into something that you can force into a super spreadsheet that has a ton of moving pieces just waiting to throw an error. You have access to Essbase, which stays pretty fresh, especially as reporting time draws nigh. You connect to Smartview and extract what you need for your report. See scenario 1. 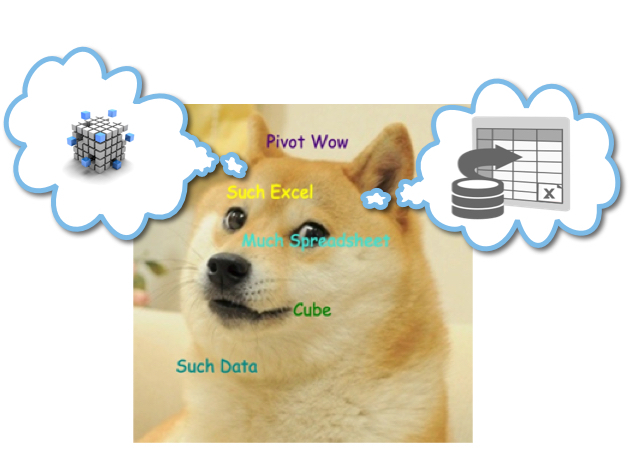 You have OBIEE that you depend on for data dumps, and then just export whatever you need. See scenario 1. While there are no doubt variations on these themes, the bigger picture here is that between the time you receive your dataset and the final report, there are likely a few iterations of said final report. Maybe you’re having to make corrections to your Excel templates, perhaps the numbers on your sheet just aren’t jiving. Whatever the case may be, this part of the process is often the one that can be the most demanding of your time, not to mention the most headache inducing. So what’s the point of my schpeal? Well, wouldn’t it be nice to expedite this part of the whole thing? Let’s take a look at how we can do just that with both Data Visualization in OBIEE and Data Visualization Desktop. 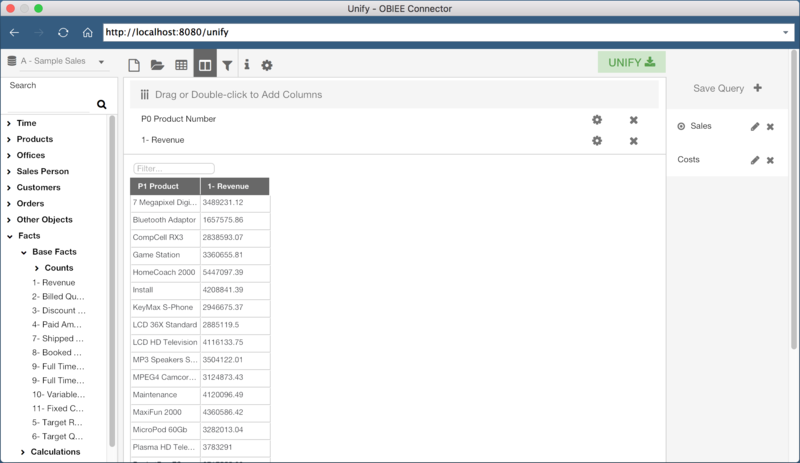 With DV, we can simply access any of our existing OBIEE subject areas to quickly create a basic pivot table. Right away you can see the profound time savings garnered by using DV. What's more, you don't need to feel forced into managing OBIEE on premises, as DV is also part of BICS (Business Intelligence Cloud Service) and DVCS (Data Visualization Cloud Service). Even if you have Smartview, and can do more or less the same thing, what if you wanted to delegate some of the tedium involved in manually crunching all those rows? You could simply hand off an export to another analyst, and have them plug it right into their own instance of Data Visualization Desktop, which, might I add, comes with your purchase of the DV license. This also, however, leads down the slippery slope into siloing off your department. This approach is essentially doing that, however kept under the quarantine that is DVD, as this blog is touting, and keeping the data with which you are working consistent, you shouldn't be able to do too much damage. The point I'm trying to make is that everything about using DV and DVD as your sort of report crafting and proofing mediums, is super-fluid and smooth. The process from source system to report and over and over again, is super-seamless. Even if I didn't have direct access to the data source I needed, and had to rely on emailed data dumps or other, I can simply upload that sheet right into DV, assign some data types, and get to work. I can even add dynamic filters to the analysis by simply dragging and dropping a column to the filters area. If you're feeling adventurous, you could also display these tables on a dashboard, that perhaps your department looks at to proof them and share in the pleasurable experience that is concocting period-end reporting. Right now, DVD is only out for Windows (with a version for the Mac on the roadmap), which is mostly ok, as most every medium to large size company I have worked with employs Windows as their go-to OS. An analyst can install the program on their desktop machine and be ready to plug away in under 10 minutes. We can take the example spreadsheet above that we dumped out of VA and create our own version of the report right in DVD. One better, we can also blend it with any other source DVD can connect to. This feature, especially, can save lots of time when trying to get your numbers just right for sign off. And hold the phone! There's even a native Essbase connector! Actually One Better Than DV! Flexibility is the name of the game with DV and DVD. 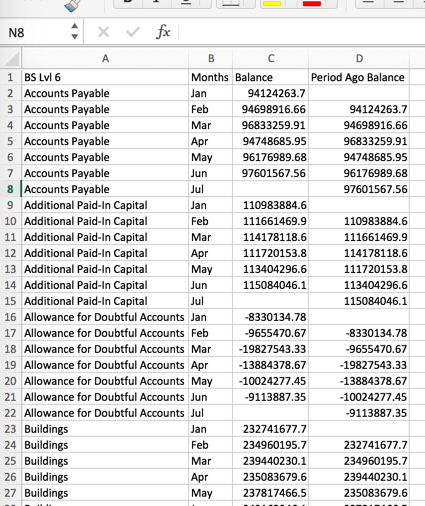 So sure, while it isn't the ideal tool for creating precisely formatted financial statements for SEC submission, it sure beats massaging and munging all that data in Excel. And once we're happy with our numbers, either by sharing our reports on a dashboard, or export, we can go ahead and plug our numbers right into whatever tool we are going to use to produce the final product. We've covered a couple of really good concepts, so let's just do a bit of a wrap up to make everything a bit more cohesive. We can pull data into Data Visualization from OBIEE, from a spreadsheet, or even mash up the two to handle any inconsistencies that may exist at month's/quarter's end. Note that we can also use Smartview to pull directly to Excel. Note that you will be unable to use the OLAP capabilities of Essbase / Essbase in OBIEE, as the data will presented in DV and DVD as flattened hierarchies. We can share reports in Data Visualization with other analysts or approvers via a dashboard (note that this is not a supported feature, but something that requires only a 'bit' of a hack) or PDF, or hand off our exported data set for further work. This can be to another person using DV or DVD. Data Visualization Desktop can connect directly to our Essbase source or utilize a data dump from DV / OBIEE to do further work and analysis on the data set. We can also connect DVD to OBIEE, as posted here, in order to extract an analysis from the web catalog. This will at least save us the step of dumping / emailing the report. All of this app-to-app compatability encourages a sustainable, functional, and fluid reporting environment (warning: data silos! 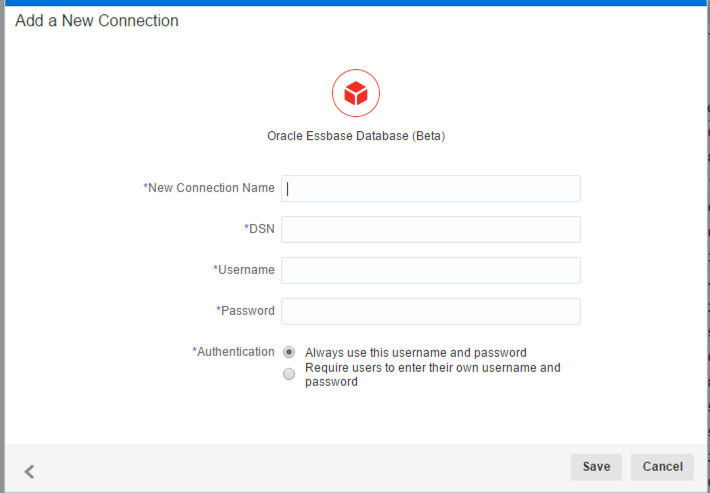 ), especially for those who are unfamiliar with the ins and outs of Essbase and / or working with OBIEE. What’s new in Training in 2017? 2016 - Thank you for a great year! Rittman Mead would like to thank everyone that attended or showed an interest in our Training courses in 2016. Since we started back in 2007, Training has been a mainstay of our service offerings. My personal opinion is that Q3 & Q4 saw the emergence of OBIEE 12c being properly adopted within the marketplace. It made sense for companies to wait for some of the bugs from earlier releases to be ironed out as well as waiting for clarity around the release of things such as Data Visualization Desktop. It meant that we started to really see numbers pick up in our OBIEE 12c bootcamp. For the first time we’ve really tried to stress the fact that different parts of the course can be suitable for different people based on their everyday use of the product. This has led to more business focused end-users of OBIEE attending our training. We love travelling and 2016 yet again took us to some amazing places to deliver courses to a variety of different clients. Locations we visited included South Africa, India, Sweden, Jamaica, Bulgaria and Ireland to name a few. Finally we were really proud to release our new On Demand Training platform in December 2016 with our first online course, OBIEE 12c Front End Development & Data Visualization. We’re looking forward to another busy year in 2017 and it’s certainly already underway!! Our public training schedule has been published with a number of courses available in OBIEE & ODI. We are seeing more and more investment in Predictive Analytics projects from companies looking to make as much value out of their data as possible. Our 3 day course will teach you about the tools available & the techniques required to start or continue your Predictive Analytics journey. From acquiring to tidying and transforming data, moving into the types of Predictive Models and how to the deploy them, our course will strengthen your knowledge and teach you valuable techniques. The Advanced Analytics & Oracle R course will be available from March 2017, please get in touch for more details. 2017 will also see the refresh of our ODI 12c Bootcamp. There are some very handy new features in the latest version such as the Big Data Integration and also Lifecycle Management. We'll also be including some lessons on advanced techniques such as Groovy Scripting in ODI. We’re looking forward to teaching these extra modules soon. The new course will be released in Q2 2017. We will be adding more courses to our On Demand Training platform throughout 2017. We recognise the value of classroom instructor led training however we also understand that people have busy lives and that sometimes flexibility to learn at your own pace is important. Our On Demand Training platform provides this opportunity whether you’re trying to reaffirm your learning post-classroom training or looking to learn a new skill for the first time. Courses that will be added online in 2017 include OBIEE 12c RPD Modeling, OBIEE 12c Systems Management & Performance, OBIEE 11g Front End Development, ODI 12c Bootcamp, ODI 11g for BI Apps and many more…. Why Is BI Documentation Important? Business intelligence systems come with a lot of extra information. Even beautifully constructed analyses have piles of background information and histories. Administrators might often have memos and updates that they’d like share with analysts. Sales figures might have anomalies that need further explanation. 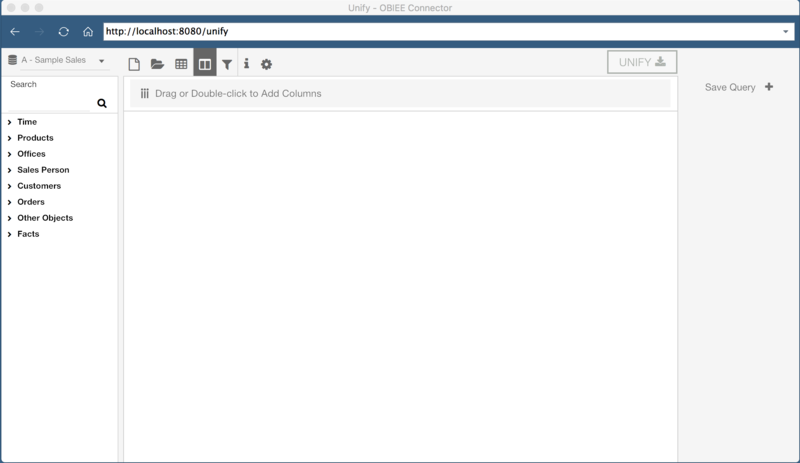 But OBIEE does not currently have any options for BI Documentation inside the dashboard. Let’s say a BI user for a cell phone distribution company is viewing a report comparing the yearly sales figures for several different cell phones. If the analyst notices that one specific cell phone is outperforming the others, but doesn’t know what makes that specific model unique, then they have to go searching for that information. But what if the individual phone model specifications and advertising and marketing histories were already included as reports inside the dashboard? What if the analyst, with only a couple of clicks, discovered that the reason one cell phone was outperforming the others was due to its next-gen screen, camera, and chip upgrades, which proved popular with consumers? Or what if the analyst discovered that the popular phone, while containing outdated peripherals, was selling so well because a Q3 advertising push for that model only? All of this information might not be contained in the dashboard’s visuals, but greatly affects the analysts’ understanding of the reports. Some information can be displayed as visuals, but many times this isn’t a practical solution. Besides making dashboards too cluttered, memos, product descriptions, company directories, etc., are not practical as charts and graphs. As of right now, important documentation can be stored in a wide range of places outside of the BI dashboard, but the operating reality at most organizations means that important information is spread across several locations and not always accessible to the people who need it. Workarounds are inefficient, cost time, cause BI users to leave the BI environment (potentially reducing usage), and increase frustration. If an analyst has to email several different people to locate the information she wants, that complicates her workflow and produces extraneous communications (who likes answering emails?). Before now, there wasn’t an easy solution to these problems. With ChitChat, it’s now possible to store critical documentation where it belongs—at the source of the conversation. Keep phone directories, memos from administrators (or requests from analysts to administrators), product descriptions, analytical histories—really, the possibilities are endless—inside the dashboard where they are accessible to the people who need them. Shorten workflows and make life easier for your BI users. ChitChat’s easy-to-use functionality allows BI users to copy and paste or write (ChitChat has a built-in WYSIWYG text editor) important information inside the BI dashboard, creating a quicker path to insightful and actionable analytics. And isn’t that the goal in the end? To learn more about ChitChat’s many commentary features, or to request a demo, click here. The post The Importance of BI Documentation appeared first on Rittman Mead Consulting.